This relaxing, powdery fragrance is dedicated to weekend. 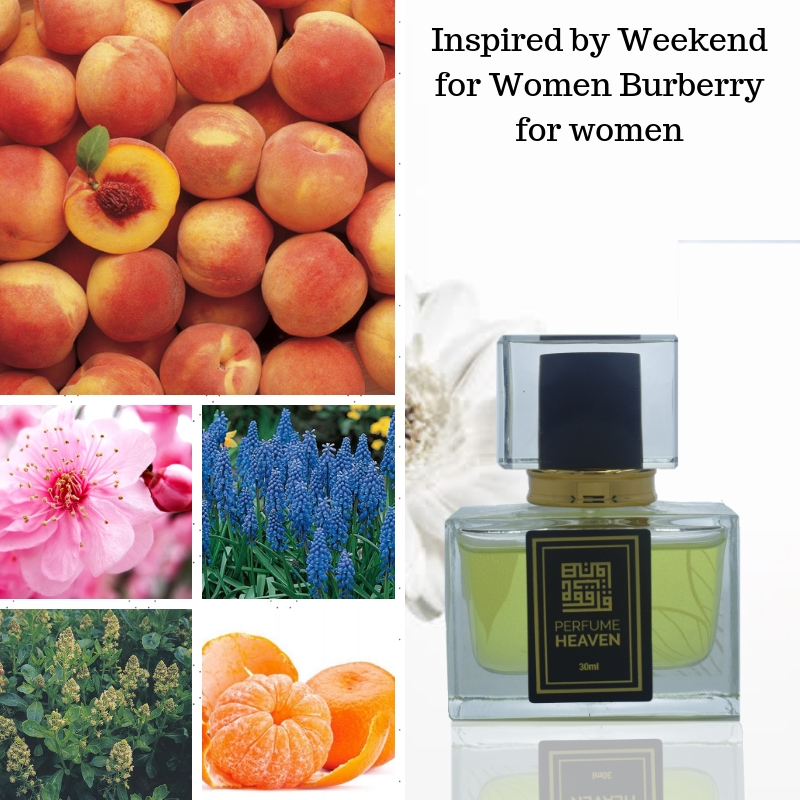 A relaxing country style perfume, named Weekend for Women. Top notes include sweet and zesty mandarine and aromatic grassy notes. Heart notes contain blue hyacinth, iris, nectarine, peach flower, red cyclamen and wild rose. The drydown is a perfect blend of sandalwood, cedar and musk. It was created by Nathalie Lorson in 1997. Perfume rating: 3.42 out of 5 with 2250 votes.